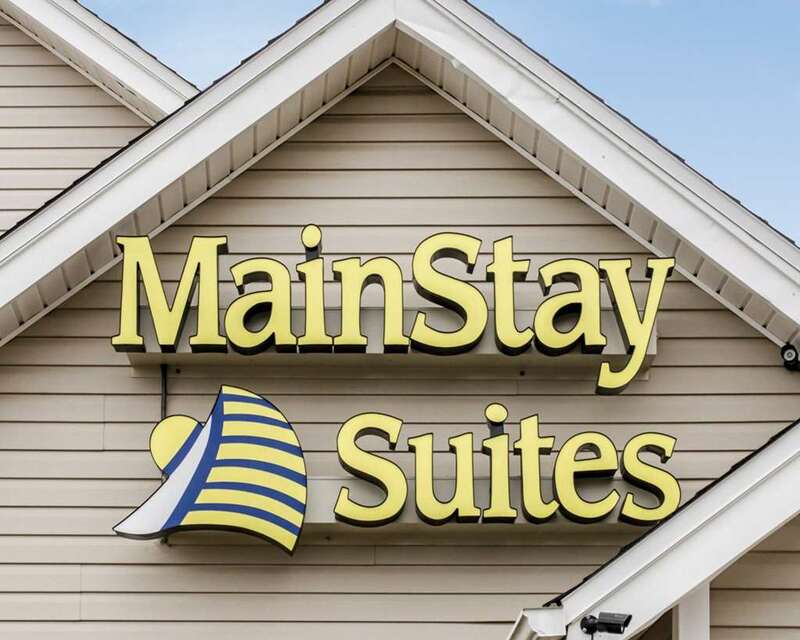 Stay awhile at the MainStay Suites hotel in Pensacola, FL. Our smoke-free, pet-friendly hotel is near Pensacola International Airport and Pensacola Beach. Amenities at our long-stay hotel include free hot breakfast, free WiFi, free coffee, free weekday newspaper, a fitness center, outdoor pool and a hot tub, jogging track, picnic area, guest laundry facility, weekly housekeeping services, convenience store and business center with a computer with Internet, copy and fax. Each spacious guest suite features a fully equipped kitchen, Flat-Screen TV, hair dryer, iron and ironing board. Select suites offer ceiling fans. Also, earn rewards including free nights and gift cards with our Choice Privileges Rewards program.